I completed the Lumber Yard Skiff based on the plans I purchased from The WoodenBoat Store. 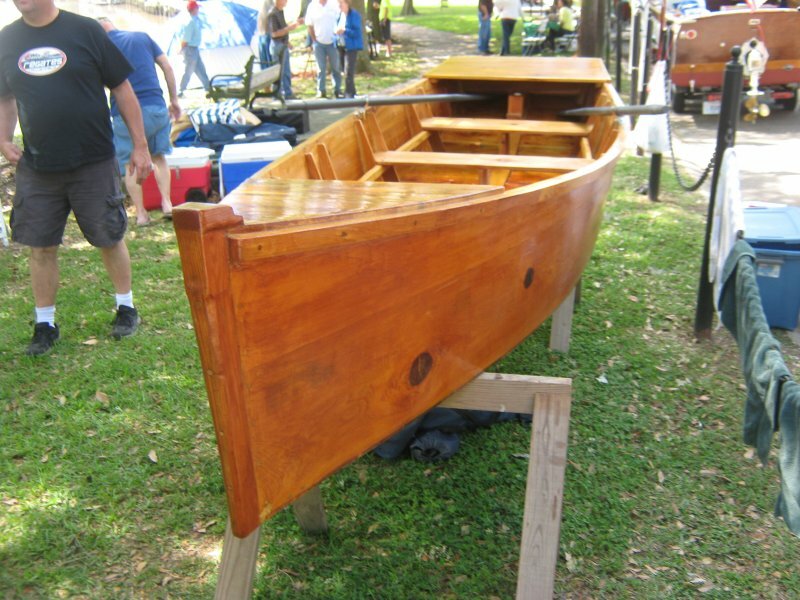 It is constructed of cypress planking for its sidewalls, cedar boards are used for the deck, bottom, and benches. It is sealed with fiberglass matte and marine epoxy.